Tyson Fury has gone on a bit of a blocking rampage on Twitter following Anthony Joshua’s win last night over Alexander Povetkin. Earlier today heavyweight champion Anthony Joshua had shared news with fans that Tyson Fury had personally blocked him on Twitter. Despite the fact you have the option to simply mute someone on Twitter, Fury chose the former and blocked his rival completely from viewing his profile. No messing around from the furious one today. Straight down to business and on the attack with those blocks. 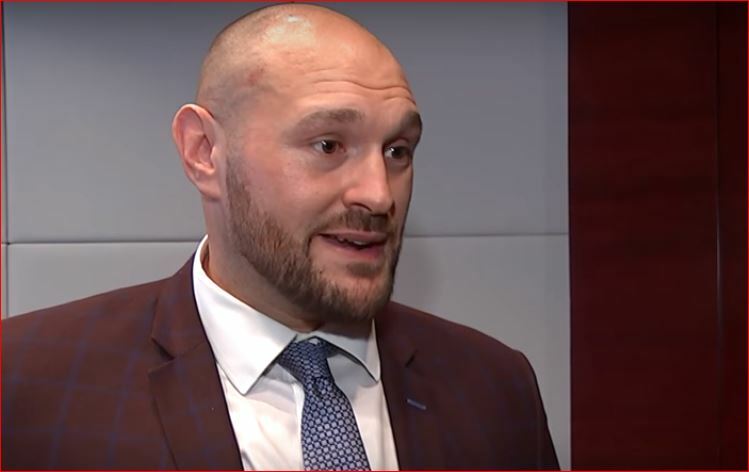 On a serious note, what a genius PR move on Fury’s part. Not even sending a tweet or doing an interview. He didn’t open his mouth at all. He let the three people he clicked ‘block’ on Twitter do all the promotion and marketing work for him. This week it is expected that we will learn where Fury will take on WBC heavyweight champion Deontay Wilder on December 1st in the US. All aboard the New York or LA train for the fight according to latest reports.